Pure bliss! That's my other name for this chai tea recipe in a jar. 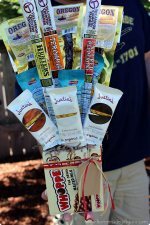 If you want to make an amazing looking, smelling, tasting gift that gives peace of mind... here you go! Masala Chai actually means "mixed-spice tea." It's a black tea beverage infused with Indian spices and herbs. It's often served sweetened and made creamy with milk or cream. I first fell in love with this delicious spiced tea as a teenager, while I was scouring the land for the coolest coffee shops. I've loved it ever since and I'm always excited to give one of my whole spice chai tea recipe in a jar gifts. This chai tea mix takes full advantage of the unique and beautiful Indian spices used to make chai tea, by including them whole and placing everything together in a glass jar to show off the exotic contents. It even has gorgeous crystallized ginger! For a spicier chai tea with even more ginger taste, you can add some fresh ginger to the gift as seen to the right. Simply buy a root and present it in a mug, a bag or a basket with this chai tea mix. When purchasing these spices, you can find them in the bulk section of most health food stores and well stocked supermarkets. 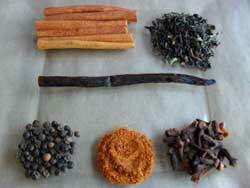 You'll get the best prices by buying in bulk and you don't have to invest in a huge amount of any given spice. 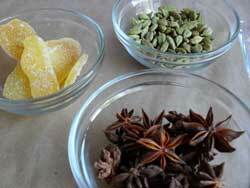 You should also be able to find the loose leaf tea and crystallized ginger in bulk. My final advice is to make extra so you too can enjoy the rich and relaxing aroma that fills the house as it simmers and more importantly, the delicious taste of this whole spice chai tea recipe. 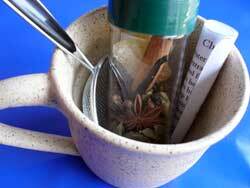 Using a glass spice jar or cellophane bag, add tea, spices and crystallized ginger in the order given above. Secure air tight lid and decorated as desired. 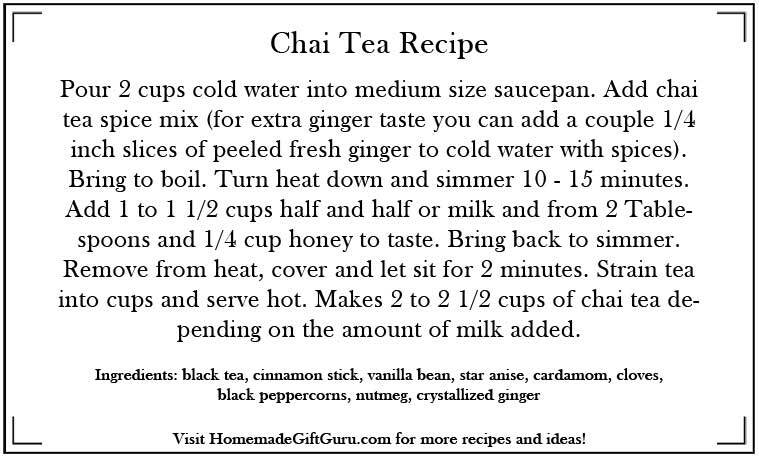 Include a gift tag with directions for making the chai tea (see below). 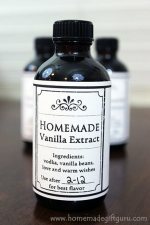 Optionally, you may choose to include a list of the ingredients in the jar so the recipient can make it for themselves again. If desired, give the spice jar with any or all of the following - a small strainer, coffee mug or tea cup, tea kettle and/or fresh ginger root. Pour 2 cups cold water into medium size saucepan. Add chai tea spice mix (if using fresh ginger in addition to crystallized, add at least two 1/4 inch slices of peeled fresh ginger to cold water with the spices). Bring to boil. Turn heat down and simmer 10 - 15 minutes. Add 1 to 1 1/2 cups half and half or milk and from 2 Tablespoons and 1/4 cup honey to taste. Bring back to simmer. Remove from heat, cover and let sit for 2 minutes. Strain tea into cups and serve hot. Makes 2 to 2 1/2 cups of chai tea depending on the amount of milk added. To print more than one card: right click and choose [copy image], then open a word processing program such as MS Word or Open Office (for a free alternative)... then choose [paste] and paste as many of the tags as you can fit on a sheet of paper. You can print this recipe card! Present this masala (Indian word meaning spiced) chai tea recipe in a small cellophane bag or in a jar such as the up-cycled spice jar above. 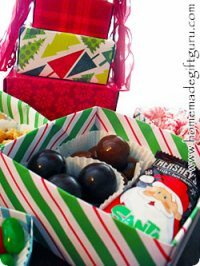 You may want to give it along with a small strainer and/or a coffee mug for a thoughtful twist. Homemade chai tea is great for sipping and reflecting, relaxing and dreaming. 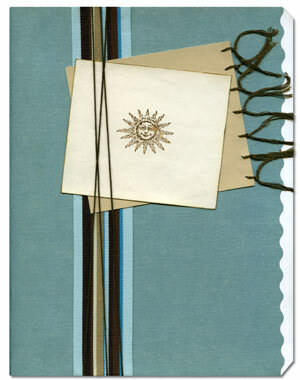 This easy homemade journal could be a great addition to a chai tea mix in a jar gift. 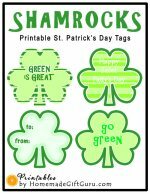 Free Printable Craft and Gift Tag Templates. 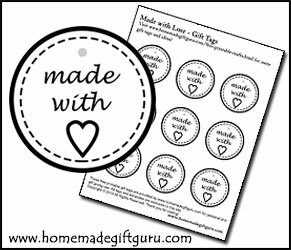 These gift tag templates can be used to make recipe tags, to address homemade gifts and store bought gifts or to spice up a variety of craft projects. This DIY Origami Box Gift Tower is Super Cute and Unique!